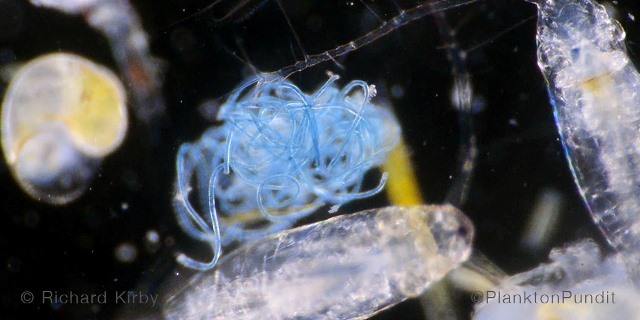 Microplastic at plankton scale (copyright Dr Richard Kirby). These little sea creatures get tangled in plastic fibres and eat plastic particles. Fish eat plankton. We eat fish. Look at @PlanktonPundit’s tweets to see amazing and beautiful images and videos of plankton wrestling with and ingesting microplastic. Or visit Richard’s website. Want to do something good to help curb the tide of plastic pollution? There’s something you can buy which will help. (Read on – Black Friday is 24th Nov. so shop early!). We’ve all seen pictures of plastic bags choking turtles, filling the stomachs of albatrosses and killing their chicks and lacerating the necks of seals but if you own a fleece, socks or any other clothes made with synthetic fibres like polyester, acrylic or nylon, microplastic fibres will be escaping from your washing machine every time you wash. They go down our drains by the billion upon billion, and into the environment, where they are irretrievably small. Video of plankton eating plastic if you’ve not seen it before. Fish, seabirds and shellfish also eat it, and it seems they are attracted to the smell. Fortunately there is something you can do. Get one of these gadgets to catch some of the microscopic fibres (most under 1mm long) before they reach the big wide world. 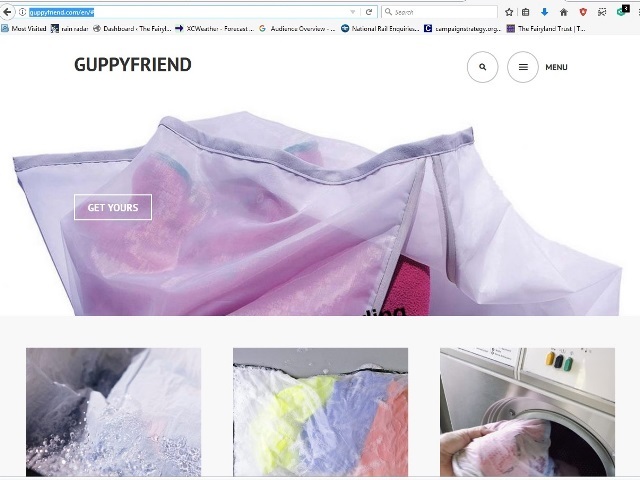 The Guppy Friend, was created by Alexander Nolte and Oliver Spies, surfers and co-owners of German retailer Langbrett which sells outdoor clothing. This is a ziplock nylon mesh wash-bag which traps fibres. It is being marketed with Patagonia, known for its many environmentally-minded actions including, turning post-consumer plastic into outdoor clothing. Patagonia funded research into microfibre pollution with the University of California Santa Barbara and according to Grist Magazine, ‘found that a single fleece jacket can lose as many as 250,000 synthetic fibers, or 1.7 grams of plastic, in the laundry’. When I checked at Patagonia from the UK, the Guppy Friend was out of stock but I imagine many readers of this blog will own one soon. I bought one direct from Langbrett here. According to the Netherlands-based group Plastic Soup, a filter has already been developed for septic tanks, which might also be deployed on domestic wastewater outlets but it gives few details. Patagonia also suggests ‘install a permanent washing machine filter, like Wexco’s Filtrol 160’. As they say, it ‘requires some plumbing expertise’. The Coraball – another microfibre trapper. 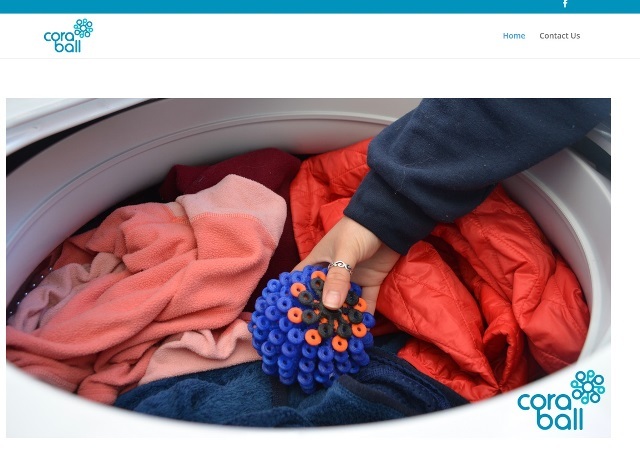 Also for washing machines, the Rozalia Project is scrambling to market ‘the world’s first microfiber-catching laundry ball’ – the Coraball – which it has patented. You can get it here in the US. 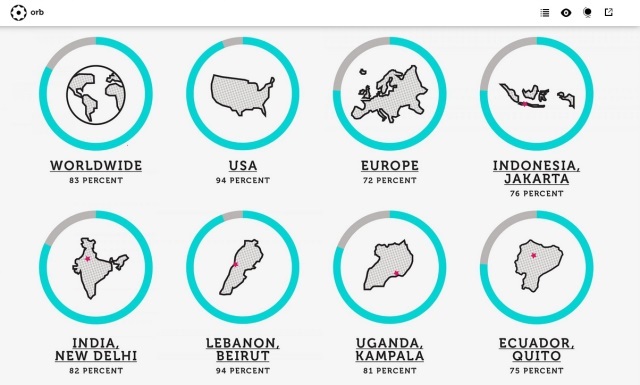 Not sure about the Rest of the World. 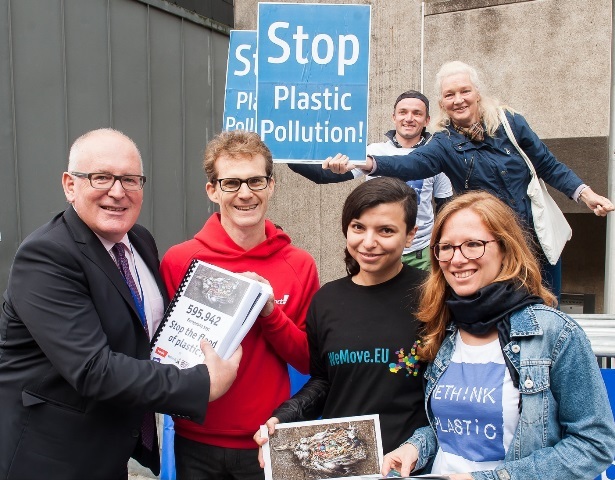 At the European Commission, Frans Timmermans is currently poring over the draft of the EU’s planned ‘Plastics Strategy’. An early leaked draft showed the Commission was thinking about restricting ‘Single Use Plastics’ like water bottles (the law that could enable this already exists in Europe, and was used to get Member States to restrict plastic bag use). A good idea. Then the plastics industry started intensive lobbying and the Commission got cold feet. Now the idea is back in play and a public draft should be out for consultation before Christmas. This is relevant to other countries as where Europe goes, others may follow. Washing machines may not be on the Commissions agenda but if they were looking for a quick hit to take out a significant chunk of the pollution problem, mandating manufacturers to build in filters to catch micro-plastic fibres would make sense. I imagine that microfibre pollution is a hot topic in the backrooms of the white goods world. If past experience (such as with refrigeration and use of industrial greenhouse gases) is anything to go by, the first ‘out of the traps’ with a ‘Micro Filter Washingmachine’ might be a German company. Washing machines with microfibre filters could become the ‘catalytic converters’ of the micro-waste issue, both cutting pollution and increasing understanding of the problem. In 2011 a team led by Mark Browne from University College Dublin tested three types of washing machine and showed huge amounts of microscopic plastic fibres were being washed from everyday clothing, which nowadays contains a lot more synthetic than natural fibre. Their paper Accumulation of microplastic on shorelines worldwide: sources and sinks reported that a single synthetic fibre item such as a fleece, could release 1900 fibres with every wash. 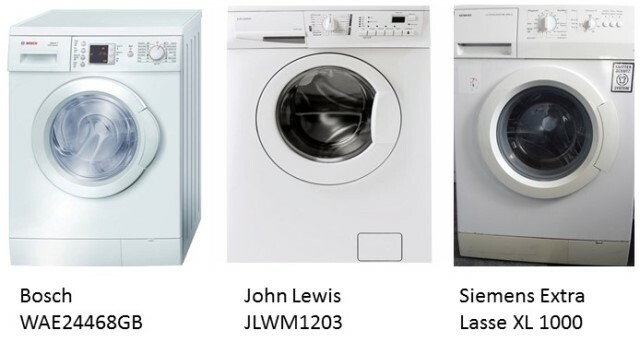 The three different types of washing machines used in the study. The researchers also compared the quantity of microplastics shorelines at 18 shorelines ‘representing six continents from the poles to the equator’, to investigate the relation of wastewater (sewage effluent) to plastic in the environment. For each litre of sediment, they found from 8 microplastic particles (Australia) to 124 (Portgual and the UK). The team found that offshore sites used by the UK to dump sewage sludge until it was banned to comply with EU rules in 1984, still contained over two-and-a-half the amount of plastic found in reference sites, showing that plastic going ‘down the drain’ is accumulating and persistent in the environment. What is more, when they tested for the microplastic in sewage effluent, they found it in similar proportions to the marine sediments (polyester 67 %, acrylic 17 %, and nylon – polyamide 16 %). An EU-LIFE funded project http://life-mermaids.eu/en/ involving researchers from Italy, Spain and the Dutch Plastic Soup Foundation, has been assessing possible technical fixes for microfibre pollution from washing clothes. It reports even higher figures for loss of fibres under 1mm in length: one 680 gramme polyester fleece jacket loses almost a million fibres per wash, an acrylic scarf loses 300,000 and a pair of nylon socks 136,000. According to Plastic Soup, acrylic can release more than 3,000 fibres in each wash.
After tests on washing machines, in 2016 Imogen Napper and Richard Thompson reported in the Marine Pollution Bulletin: ‘we estimate over 700,000 fibres could be released from an average 6 kg wash load of acrylic fabric’. As Plastic Soup points out, Gerd Liebezeit from the University of Oldenburg has found microplastic in honey, beer (24 German brands) and mineral water. It has also been found in salt, especially sea-salt and in tap water. In 2017 The Guardian’s Environment Editor Damian Carrington reported that ‘scores of tap water samples from more than a dozen nations were analysed by scientists for an investigation by Orb Media … overall, 83% of the samples were contaminated with plastic fibres’. As Chris Tyree & Dan Morrison of Orb Media wrote: ‘it is everywhere: the most enduring, insidious, and intimate product in the world … the evidence is unmistakable: We are living in The Plastic Age’. Not surprisingly, plastic is also an air pollutant. Carrington wrote: ‘In Paris in 2015, researchers discovered microplastic falling from the air, which they estimated deposits three to 10 tonnes of fibres on the city each year, and that it was also present in the air in people’s homes’. Is There Any Complete Solution? 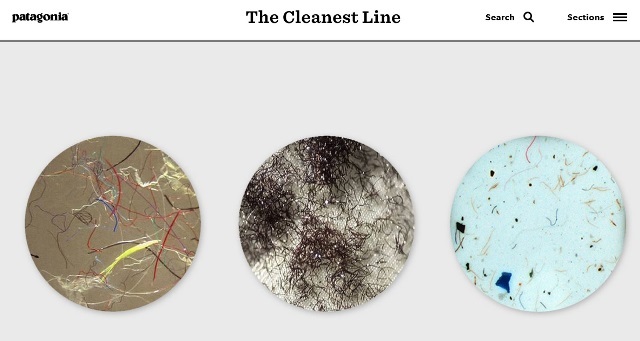 Few sewage works have filters that can trap microplastics and these small millimetre scale particles break down further into ‘nanoplastics’, meaning they are in the nanometer scale: one-one thousandth of one-one thousandth of a millimeter. These defeat almost any filter and can get into the body across lungs or the gut, as described in my earlier blog. Aside from washing machines another huge source of microplastic particles is wear from car-tyres, now made from plastic. Plus of course break down of any plastic item – it just goes on getting smaller and potentially more dangerous, as it fragments. 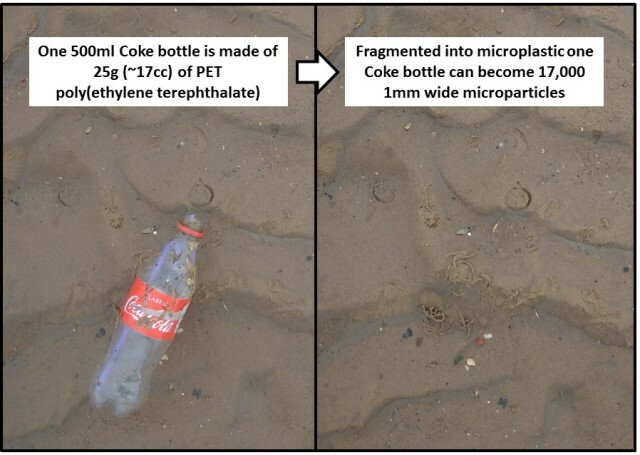 I worked out that this Coke bottle contains enough plastic (25 grammes = about 17 cubic centimetres of PET) to make 17,000 1mm wide (effectively invisible) microplastic particles. The health effects of microplastic pollution are currently unknown but are not likely to be positive. Microplastic particles have been found in tumours and many of the chemicals attracted to, concentrated around and transported by plastic are long-lived accumulative toxic organic pollutants or POPs (Persistent Organic Pollutants), such as PCBs. Many of these get concentrated in the food chain, are stored in body fat, cause cancer, birth defects and disrupt development hormones: endocrine disruptors, and include pesticides and PCBs. Many plastics also release their ‘own’ toxic chemicals as they break down, such as styrene. Plastic in general and microplastic in particular is a threat-multiplier: plastics x toxic chemicals is a lot worse than either threat on its own. Plastic fragmentation should give a shot in the arm – if that’s not too unfortunate a phrase – to efforts to clamp down on POPs. Plastic isn’t just a litter problem, it’s now a global pollution crisis similar to climate change. More on how this crept up on us, and whether campaigns can still just focus mainly on beach cleans and recycling, in future blogs.